The balanced scorecard (BSC) has become a popular concept for performance measurement. It focuses attention of management on only a few performance measures and bridges different functional areas as it includes both financial and non-financial measures. However, doubts frequently arise regarding the quality of the BSCs developed as well as the quality of the process in which this development takes place. 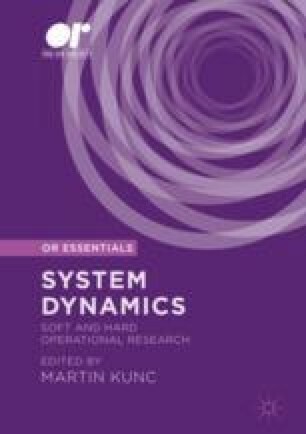 This article describes a case study in which system dynamics (SD) modelling and simulation was used to overcome both kinds of problems. In a two-stage modelling process (qualitative causal loop diagramming followed by quantitative simulation), a BSC was developed for management of one organizational unit of a leading Dutch insurer. This research illustrates how, through their involvement in this development process, management came to understand that seemingly contradictory goals such as customer satisfaction, employee satisfaction and employee productivity were, in fact, better seen as mutually reinforcing. Also, analysis of the SD model showed how, contrary to ex ante management intuition, performance would first have to drop further before significant improvements could be realized. Finally, the quantitative modelling process also helped to evaluate several improvement initiatives that were under consideration at the time, proving some of them to have unclear benefits, others to be very promising indeed.